Cast your mind back to June when I went to Paris for the weekend, we dined in some pretty amazing places but I never got round to writing about any of them. Until now. 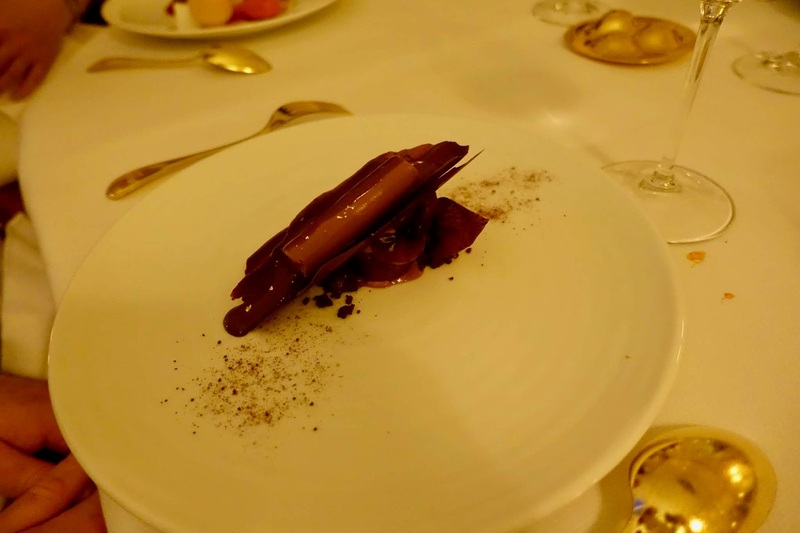 Lasserre is hands down the best restaurant I have ever eaten in. 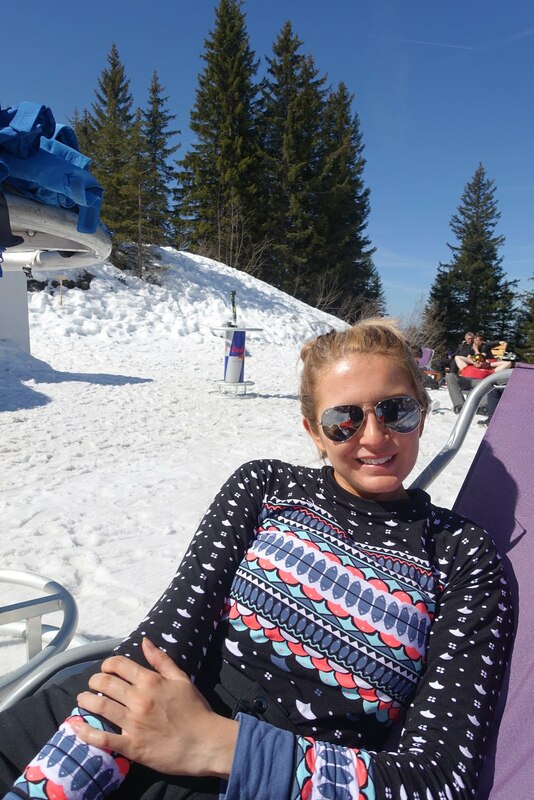 I wasn't planning on doing a blog post but the experience was too good not to share with me! 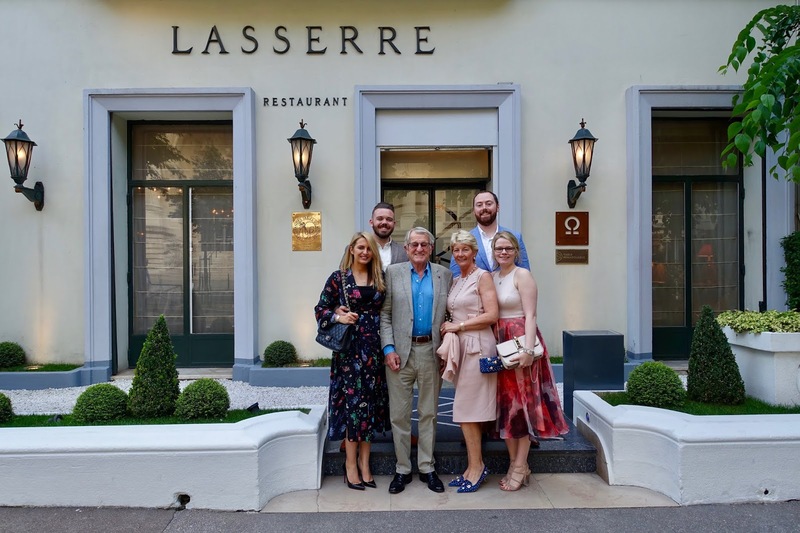 My Mam has been to Lasserre quite a few times before she had me and my sister and just like when we went to The River Cafe Brooklyn, my Mam wanted to take us there to experience Lasserre and we were in for a real treat! The doorman is there to greet you and he kindly took a photo of us all before we went in. There was a lift (with a bellboy) to take you up to the restaurant, only 2 people at a time were allowed inside it felt ever so special. 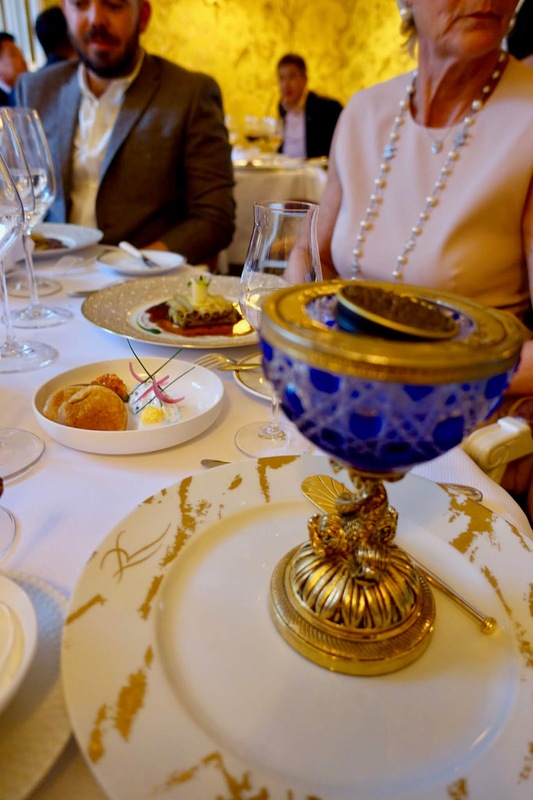 I knew Lasserre was a different class from other restaurant, as when the ladies were presented with menus we had no prices in them. 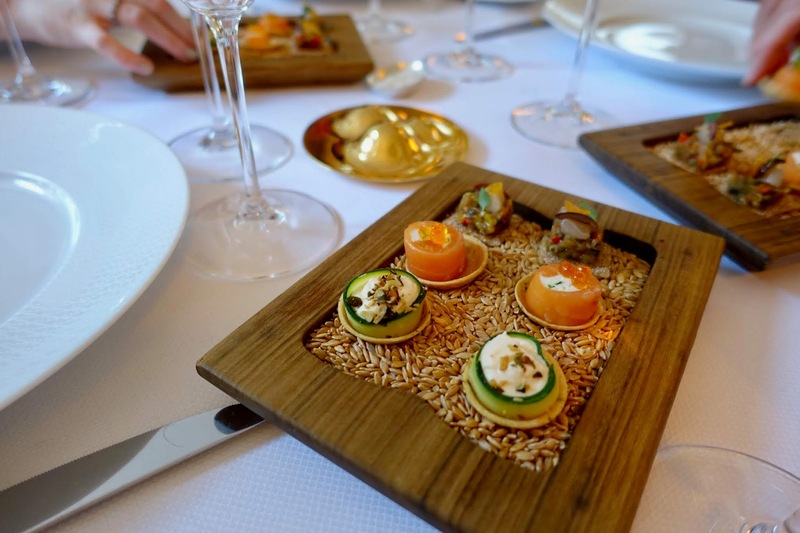 Once our orders were taken the hors d'oeuvre were served, little mouthfuls of deliciousness. 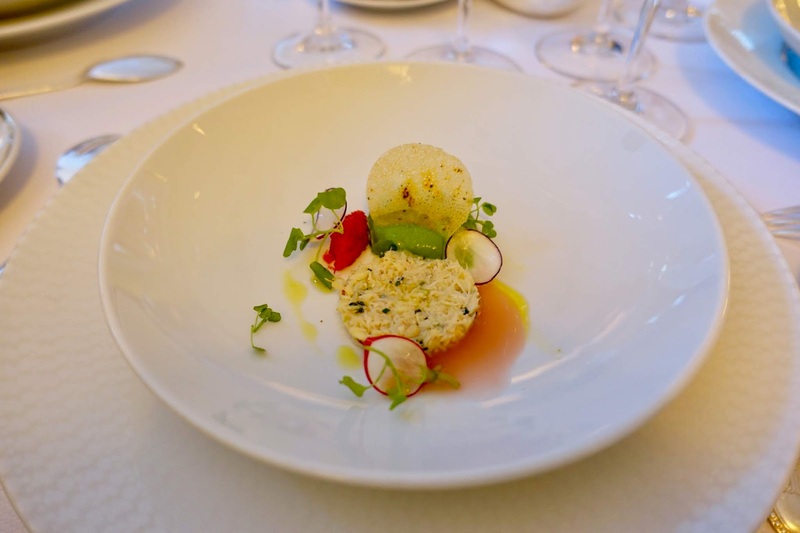 Before the starters came out we were given a crab amusé bouche, it was absolutely divine! I decided not to have anything to start as I'd already spotted on the dessert menu what I wanted and I wanted to save some room. 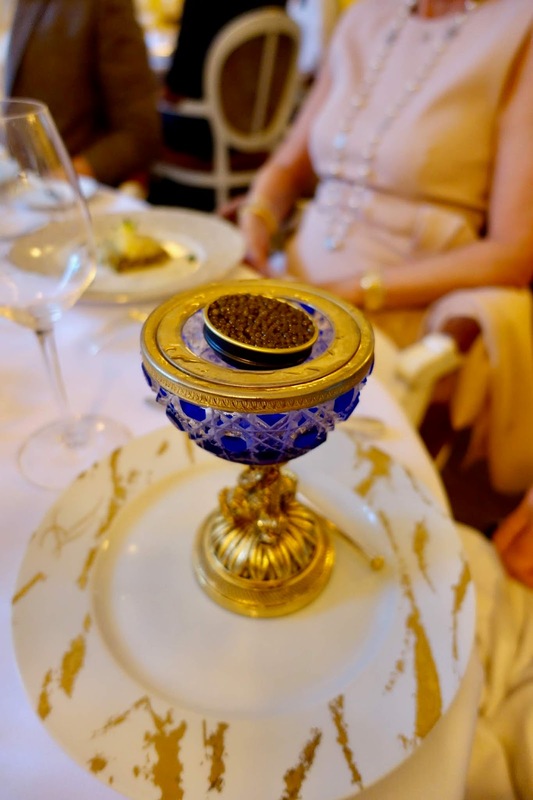 However my Dad had Imperial Caviar from Sologne with buckwheat blinis and red onion pickles which was served in what looked like the goblet of fire from Harry Potter! 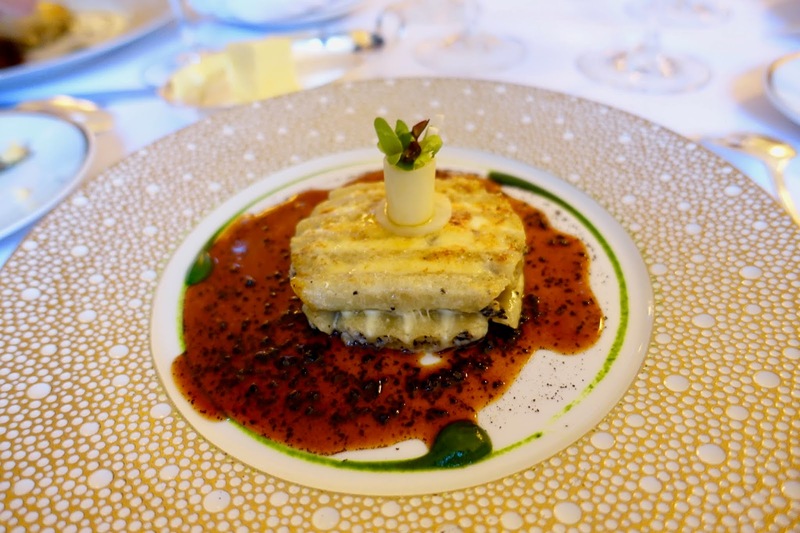 The rest of the table went for Lasserre's signature dish, macaroni, stuffed with black truffle and duck foie gras. I didn't have to wait long for my main course. 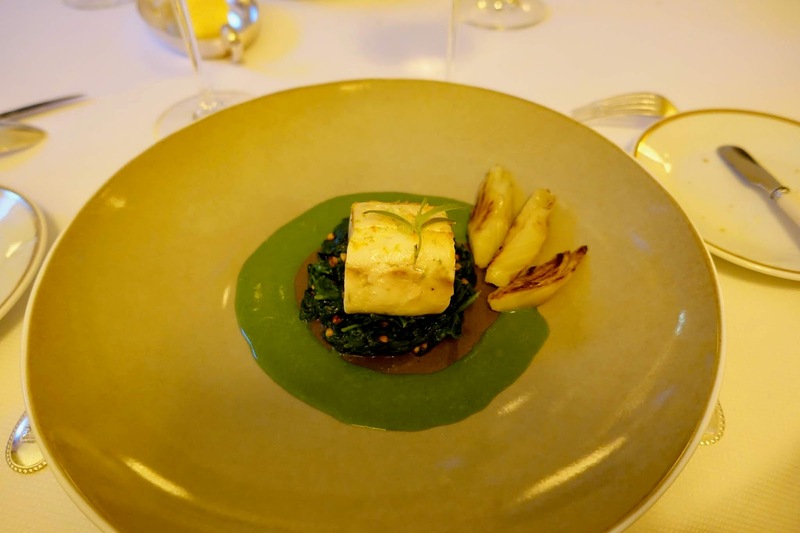 poached sea bass flavoured with verbena, tetragone spinach with buckwheat. 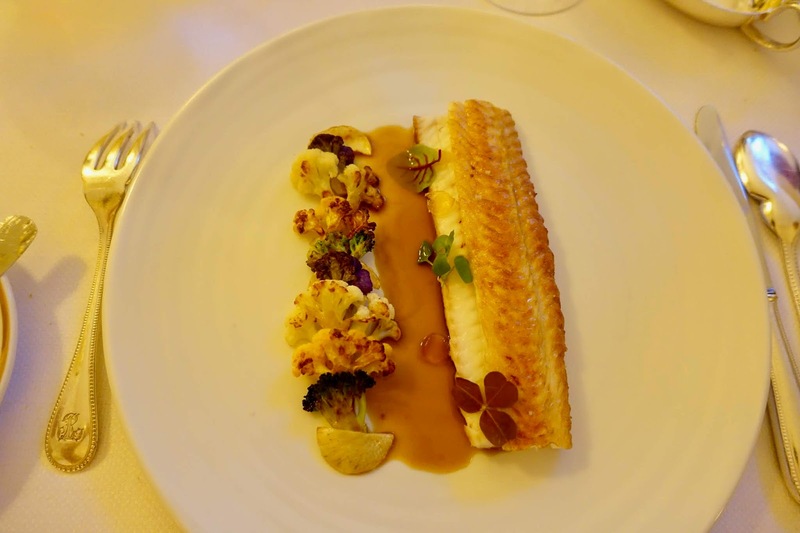 Also on the table was slowly browned sole with candied lemon, declinaison of coloured vegetables. 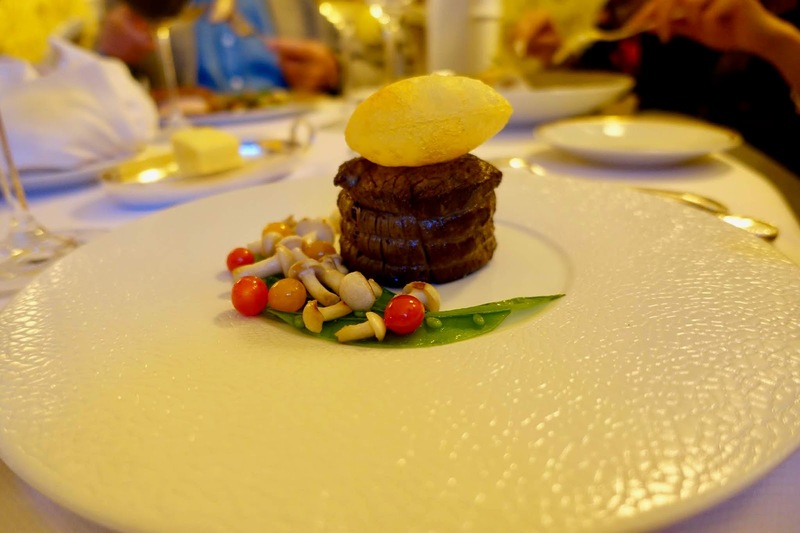 Roasted filet of beef with cedat puffed potatoes. 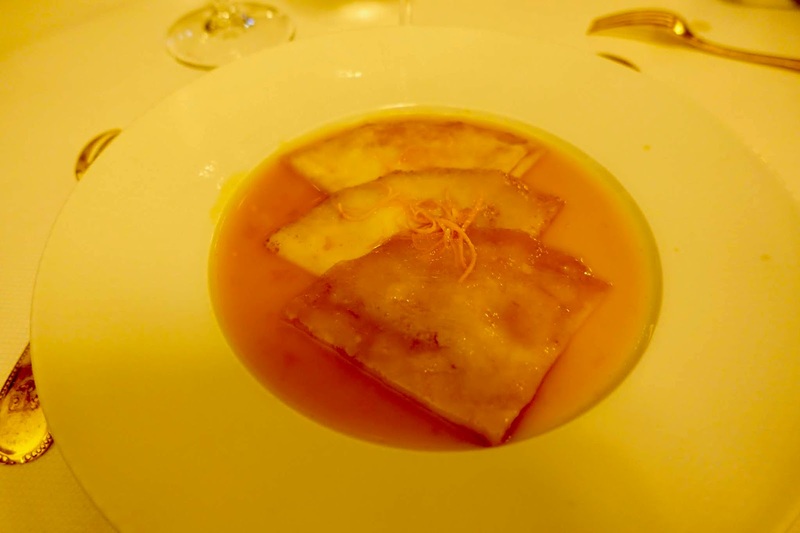 There was only one thing that I wanted for pudding, crepe suzette, my favourite pudding of all time. 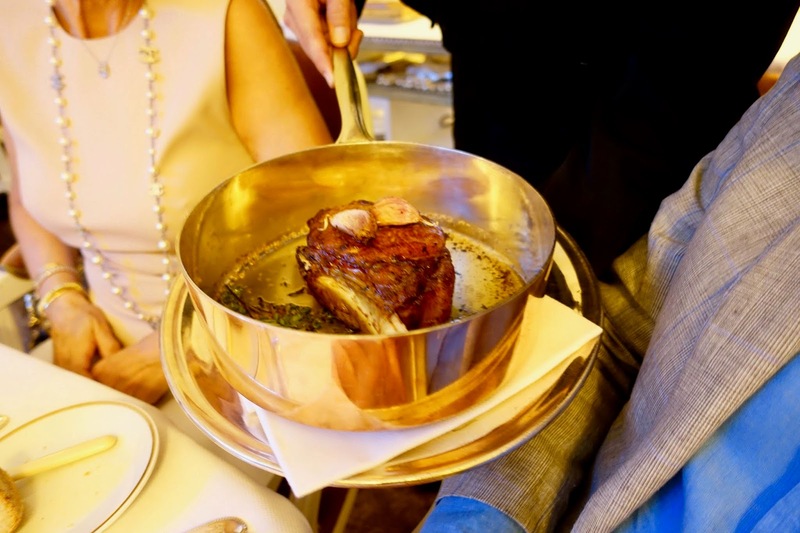 Cooked right in front of us, once I'd finished I wanted to lick the plate. But my Mam sadly stopped me be. Freezy emotion, tangy rhubarb, wild strawberries. 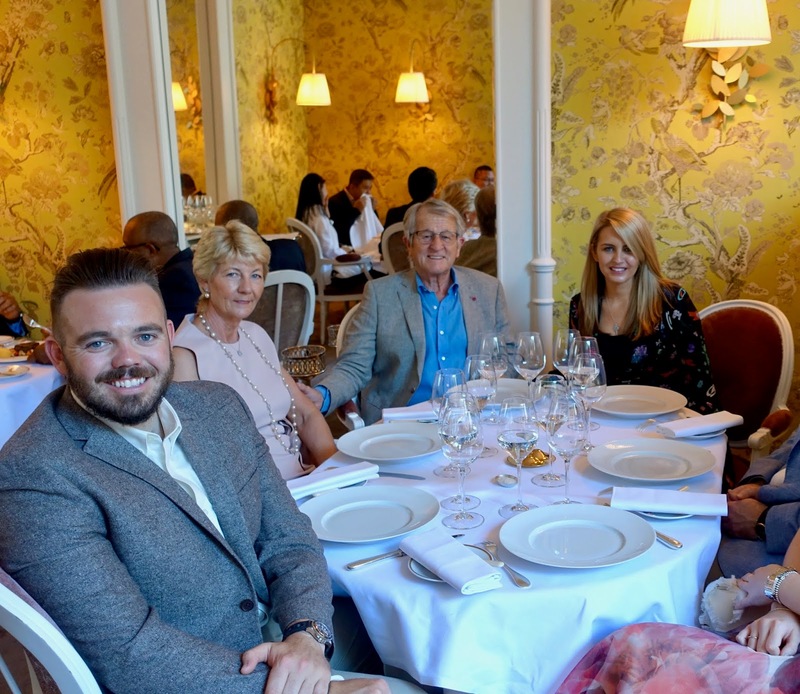 As this was for my Mam's special birthday, the whole experience was worth every penny. 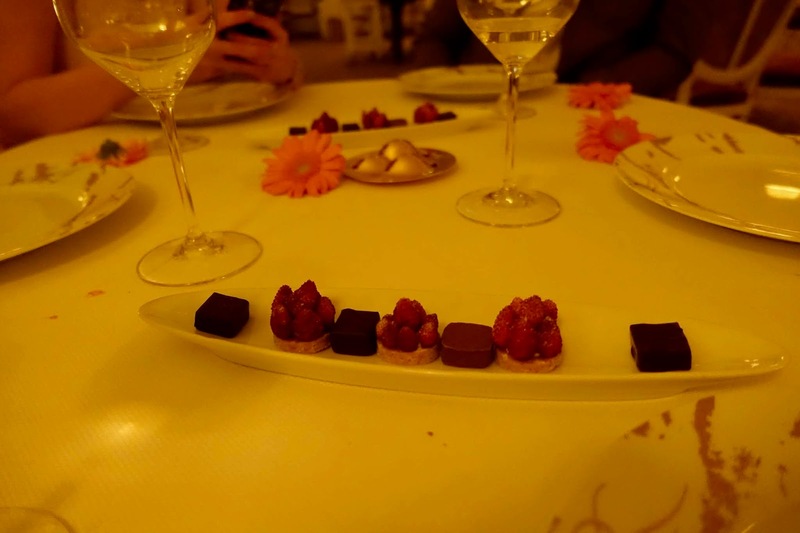 We rounded off the evening with petit fours, which were of course, as you guessed absolutely delicious. 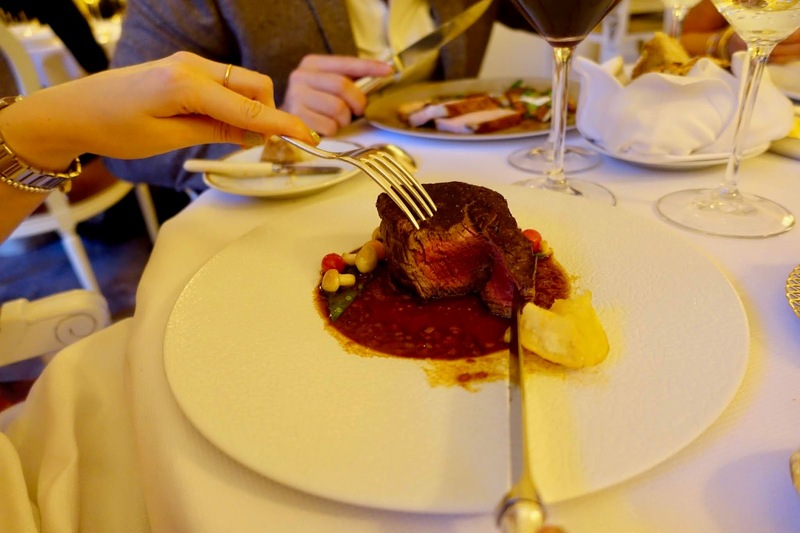 I'll most certainly be going back to Lasserre, in fact on the evening I made Matty promise me that he'd take me back for my 60th, but I think I'll be back before then! 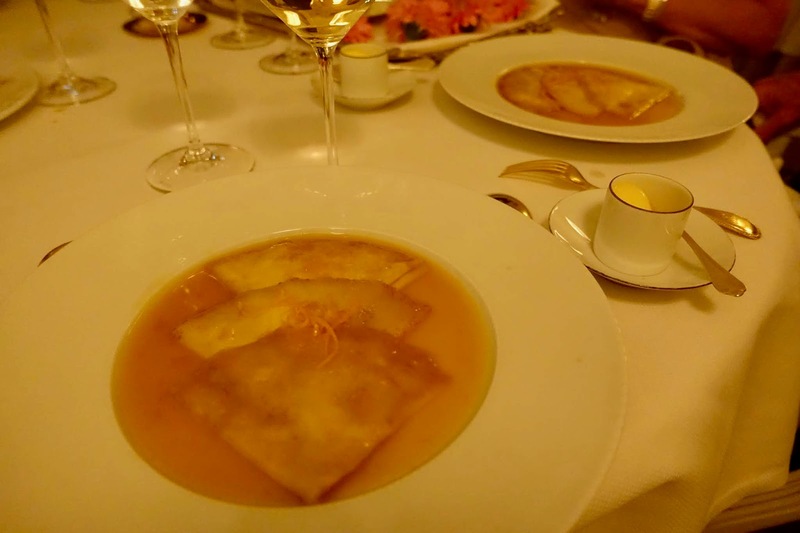 You'll find Lasserre located in the heart of the 8th arrondissement, near les Champs-Elysées and Montaigne Avenue, right in the heart of Paris. Don't forget, if you are visiting booking a table is an absolute must! 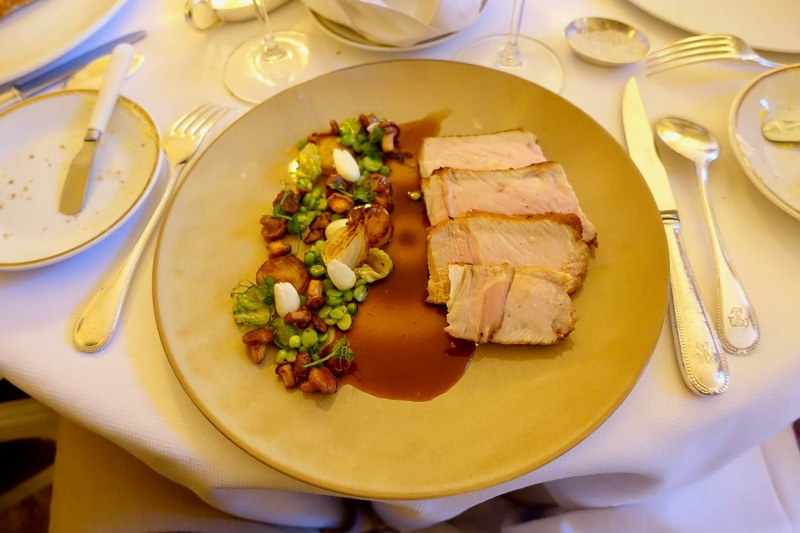 For more information on Lasserre check out their website here. 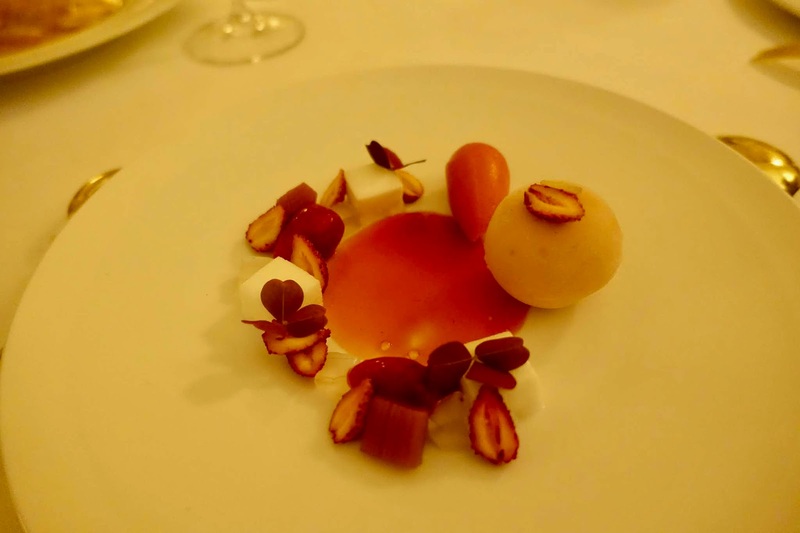 I can't wait to head back to Lasserre, it really is the perfect restaurant for a special occasion. To be honest, if it was closer to home, I'd 100% have our wedding there. Don't forget to like my facebook page to keep up to date!